The image of a couple exchanging rings during a wedding ceremony is instantly recognizable, and is held as an ancient tradition. A ring on a certain finger indicates that the wearer is married, but many might be surprised to learn that the double ring ceremony so common today in the western world, in which a couple both exchange and wear rings, is a 20 th century convention. However, the origins of giving rings to commit to marriage, to pledge loyalty, or to symbolize a heart connection are ancient. Said to be one of the oldest marital customs, it is one which has changed over time and across cultures, and so the true origins of wedding rings are somewhat elusive. Ancient Egyptians are said to have been the first to use rings in a wedding ceremony, as early as 3000 BC. Rings were made of braided hemp or reeds formed into a circle—the symbol of eternity, not only for the Egyptians, but many other ancient cultures. The hole in the ring’s center represented a gateway or door leading to future events. These rings were placed on the fourth finger of the left hand (known as the ring finger) as Egyptians believed a vein ran from that finger straight to the heart, and this practice is said to be the origins of many later traditions. These rings were placed by a man upon the finger of his wife, signifying his confidence in her ability to care for his house. Reed rings were not very durable, and eventually rings made of bone, leather or ivory came into use. As more expensive materials were used, the value of the ring represented the degree of wealth of the giver, as well as the quality of love shown. The Romans continued the tradition of the wedding ring, but the ring was often given by the groom to the father of the bride, and served as a symbol of bride purchase. By the second century BC, the bride herself was given an expensive gold ring as an indication the groom trusted her with his valuable property, but it was only worn in public, and was not used during household work. 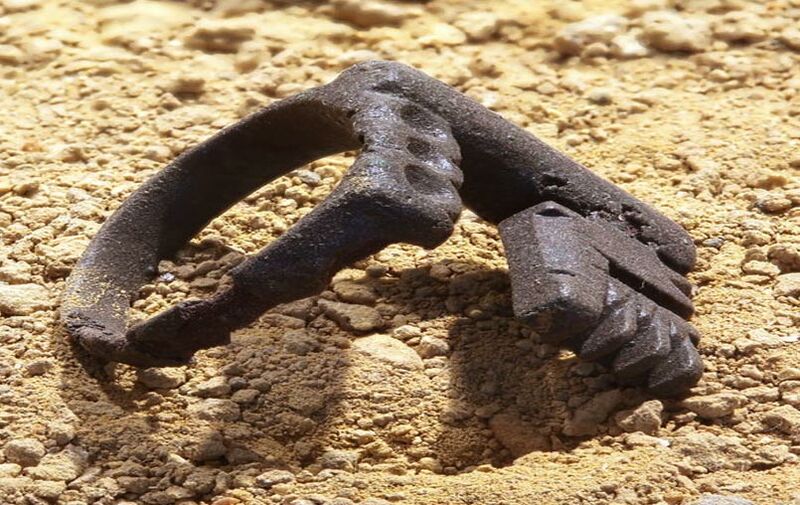 Instead, a plain betrothal or engagement ring of iron, called Anulus Pronubus , was worn at home, and on the iron ring sometimes sported a tiny key shape. These rings signified strength, permanence, and a control over the giver’s possessions, which could be ‘locked away’ at the wearer’s discretion. Rings could be worn on any finger, but the Greeks and Romans wore these wedding rings on the fourth finger of the left hand, for they too believed in the hand-heart connection, and felt that the Vena Amoris , or Vein of Love, coursed between the ring finger and the heart. It is also said the Romans were the first to engrave wedding rings. The distinctive Claddagh rings that depict hands holding a crown or heart date back to Roman times and the design symbolizes friendship, loyalty, oaths, faith and love. These were used as engagement and wedding rings in the Middle Ages and Renaissance Europe. The rings as they’re currently known were made in Ireland in the 17th century, and are traditionally passed down from mother to daughter. It was not until about 860 that Christians used the ring in marriage ceremonies, as it was once considered a pagan tradition by the church, but that sentiment changed after the church started performing official marriages. Wedding rings were in many cases representative of the exchange of valuables, and a sign of tangible money. During the Renaissance, Gimmel rings, a type of puzzle ring, originated in France and were a popular gift to the bride. These wedding bands would be made of two interlocking bands—one for the bride, and one for the groom. The two halves would be connected at the wedding, and then the wife would wear it thereafter. The two rings, like the two lovers, became one, and these rings were said to have come from an old custom in the Middle East. During this era wedding rings were worn on various different fingers, including the thumb. Britons wore theirs on the middle finger of either hand. In ceremonies in many cultures the ring would be worn on one hand before the wedding, and transferred to the other during the ceremony. In Victorian times in Europe and America rings became more lavish, highly embellished, and incorporated gold and precious gems from around the world, such as sapphire, topaz, ruby, amethyst, and pearl. It became popular to have a wedding ring designed to look like a snake, as Queen Victoria’s husband, Albert, gave her a snake engagement ring. Snakes, like the circular band, were symbols of eternity. Rings are not traditional in Indian or Muslim weddings, although engagement or betrothal rings were quite prevalent. Indian brides received a golden charm on a necklace, and elaborate silver toe rings displayed marital status. It wasn’t until the 1940s that men’s wedding rings became popular in the western world. They were worn during wartime as a demonstration of remembrance and commitment to wives while overseas. After World War II, the tradition held and men’s wedding rings are now as commonly worn as women’s. The wedding ring is an ancient symbol of commitment and vow of loyalty that has spanned the ages, and will undoubtedly remain a pledge of love for aeons to come. WEDDINGRINGORIGINS. “ Origins of the wedding ring ” 2013. WeddingRingOrigins.com [Online] Available here. “50 Wedding Traditions and Superstitions”. 2015. TheKnot.com [Online] Available here. Thadani, Rahul. "Wedding Ring Finger". 2010. Buzzle.com [Online] Available here. Viegas, Jennifer. " Gift List Circa 50,000 B.C. : Photos ". 2014. LiveScience.com. [Online] Available here. Many ancient European tribes had the hand fasting ritual as a sign of marriage. the right hands of the bride and groom were tied together to signify the bond. I am reminded me of a comment of a female comedian who said that the idea of "til death do us part" came into existence when no one lived past the age of 35. Read more about Digitized Zoroastrian Love App! The Preserver or Destroyer of Ancient Ways?